I haven’t updated the blog for a long time. Apologies! I have been busy trying to remember how to work a baby. In writing news; since I posted about the Undiscovered Voices excitement, I have signed with Jenny Savill of Andrew Nurnberg Associates (I have just noticed that ANA take care of Harper Lee, author of the first book to ever make me cry and a life-changer for me in some ways. *swoons*). Jenny is lovely and if you’re interested in the world of Children’s and Young Adult books then follow her on Twitter, here. I’m really happy about this decision and I am now editing A Good Hiding in the hope that eventually a publisher will take it on. I haven’t had time for much else. The festival season has passed me by this year and I have really missed doing writing workshops and readings. Hopefully next year I can join in again. I can’t complain though, exhausted though I am. We’ve been having our own festival of sorts. Hope you are all doing well. 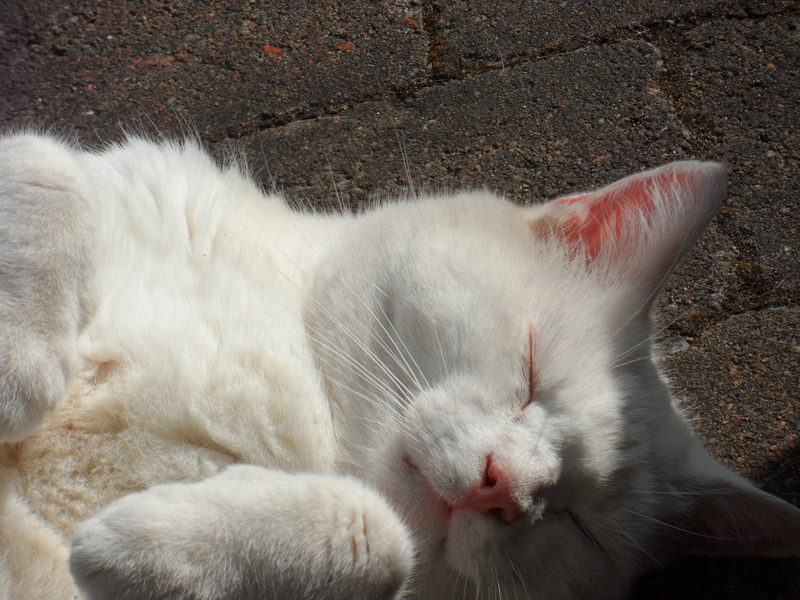 Here’s a picture of our cat, Ibid, enjoying the sunny summer.